We know no one ever wants to call a towing company in North Las Vegas but we’ll make you glad you chose us. Isabella’s Towing is a full-service towing company dedicated to excellence in service and customer care.We have a commitment to fair, honest pricing and fast towing in North Las Vegas to make your towing experience as easy as possible. We know that everyone who calls us is stressed and dealing with a difficult situation. When you call Isabella’s Towing, you will deal with compassionate dispatchers who understand what you are dealing with and ready to send help immediately. Isabella’s Towing is an at-will towing company. That means we only do voluntary tows in North Las Vegas, not impounding and repossession. We provide light- and medium-duty towing in North Las Vegas with reliable, quality, and cheap towing to get you out of a bind.Whether you’ve been in an accident, your car has broken down unexpectedly, or you have locked your keys in your car, we will be there quickly to deliver your car to the mechanic of your choice. 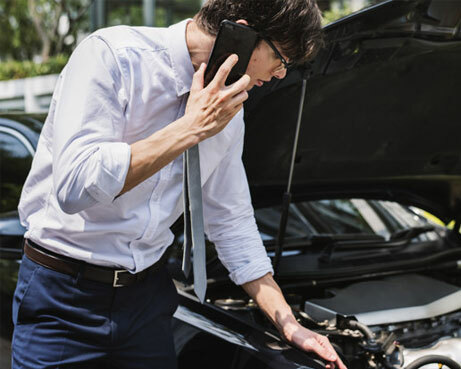 We also offer roadside assistance to help you get back on the road quickly when you’re dealing with problems like a dead battery, flat tire, or car lockout. While you wait for car towing service, we urge you to take steps to protect your safety and get ready for us for a fast and safe process. Remain in your vehicle with your seatbelt on. This is the safest place for you to be unless you are 100% positive you can exit your vehicle safely. If you decide to leave your car, exit on the opposite side of traffic and do not stand next to your car in case it’s hit. Turn on your hazard lights. If you have them, put down flares or cones to help other motorists see that your vehicle is not moving. Remain aware of your surroundings by watching oncoming traffic. Be wary about talking to passers-by. While many may be good Samaritans offering help, you can’t be sure of their intentions. Let anyone who asks know a tow truck is on the way and don’t accept a ride from someone you don’t know. Have your registration, insurance information, and personal information gathered when we arrive. If you have never had to call for a tow truck in North Las Vegas before, you may be feeling a little unsure of what you should do. We understand that car towing can be nerve-wracking. You’re already dealing with an emergency and now you need to worry about getting your car repaired. You can count on Isabella’s Towing to go above and beyond to make the experience as painless and easy as we can. When you call us for towing in North Las Vegas, please let us know your location, your drop-off location, the make and model of your car, and what happened. We will be there in no time to get you off the road. When you find yourself needing to call a tow truck, turn to Isabella’s Towing in North Las Vegas. We offer voluntary towing and fast response to get you in your time of need without the hassle and high cost you may associate with towing companies. Our cheap towing, friendly staff, and ultra-fast response will help you make the best of a bad situation. Call Isabella’s Towing and let us know what happened, your exact location, and where you want to be dropped off. Our dispatcher will give you an estimated arrival time and a quote for car towing service in North Las Vegas. We will send a tow truck driver to your location right away to reduce your wait time. At Isabella’s Towing, we are more than just a towing company in North Las Vegas. We also offer quick response and low-cost roadside assistance. Save yourself the stress and cost of car towing by giving us a call. We can quickly and safely get you back on the road in many cases. In fact, once we arrive, you can be on your way in minutes! When you give us a call, let us know what happened so we can recommend whether you will need towing or roadside assistance. We all have off days. 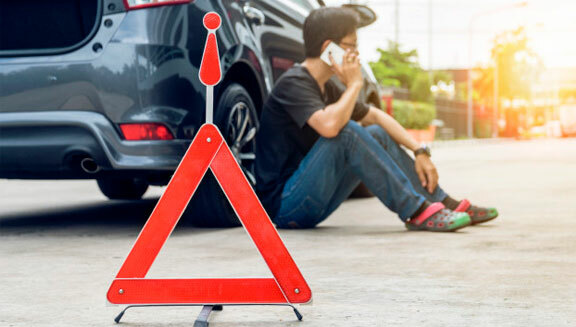 If you have found yourself stranded with your keys locked in your car or truck, call Isabella’s Towing for fast roadside assistance in North Las Vegas. Don’t make the mistake of trying to get your door open yourself; you’re more likely to just cause expensive damage to your car. We will be there quickly to safely unlock your car door in a matter of minutes without damage to your car. 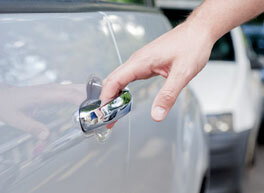 Our emergency car lockout service is a low-cost way to get back into your car and on the road. There’s no doubt that a blown or flat tire can be aggravating. Maybe you hit a pothole or object on the road or you came back to your parked car to find your tire flat. You may have even suffered a tire blowout while driving due to low tire pressure combined with the hot summer road. Whatever the cause, make sure you pull over right away to avoid damage to your car and give us a call. Isabella’s Towing in North Las Vegas will quickly arrive to put on your spare tire or a new tire to get you back on your way in no time. Run out of gas in North Las Vegas? It can happen to anyone! Whether you simply thought you had enough gas to get to the station or you have a faulty gas gauge, call Isabella’s Towing for help. A tow truck driver can arrive quickly to deliver enough gas for you to safely drive to the closest gas station for a fill-up to be on your way. 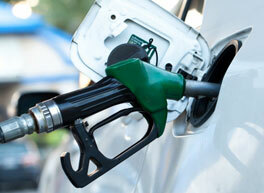 Our roadside fuel delivery in North Las Vegas can get you out of a difficult position in no time at all. You turn the key in the ignition and hear a click but nothing happens. Don’t panic! If you don’t have jumper cables, we can be there in no time to help. 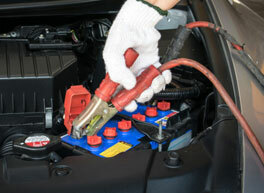 If the problem is caused by a dead battery, we can give you a quick jump start that will have your car running again in minutes.